OOO starbucks. That's always a good day! Love this. All these things definitely make for a good day :). Have a great weekend. All of this (cept bed by 11 because that never ever happens)... but isnt waking up without an alarm just heavenly! Yoga, a good book, working out... yes yes and yes! 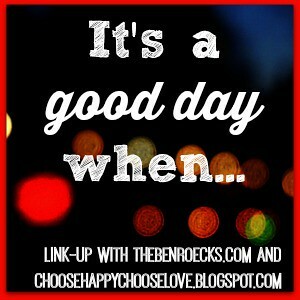 And I also love Sundays :-) Thanks for linking-up!